The Simple Dresser with Functional Slat – Black from the Simple collection by Vox has specially selected finishes tailored to complement a contemporary environment. Delivery expected within 8 to 20 days. Perfect for teenagers and kids rooms, this Simple Dresser with Functional Slat features durable materials and elegant contours. 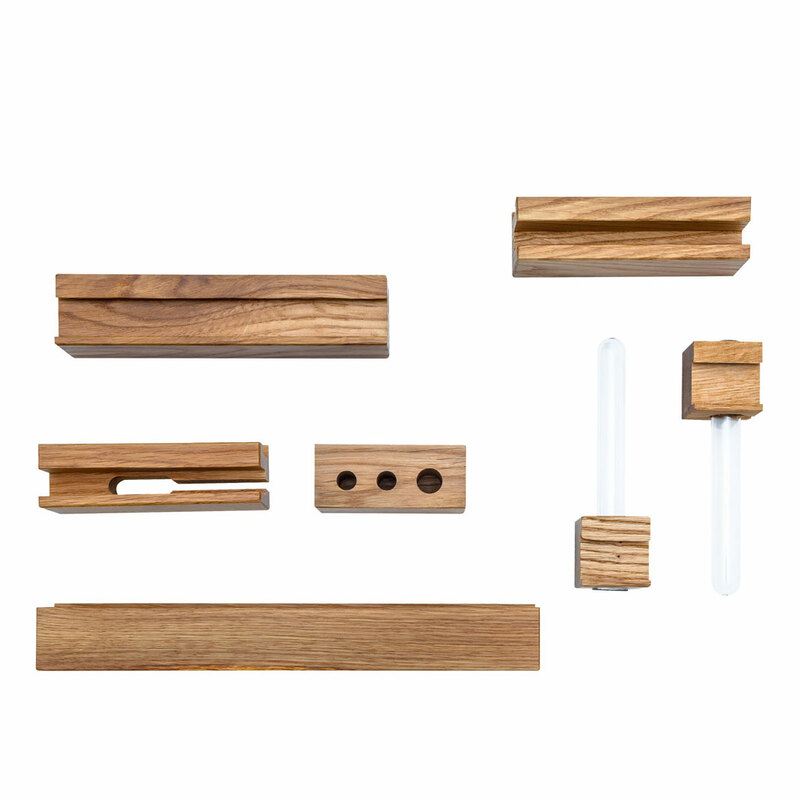 The oak frame and four easy slide drawers combined with the sturdy wooden legs are both practical and on trend. 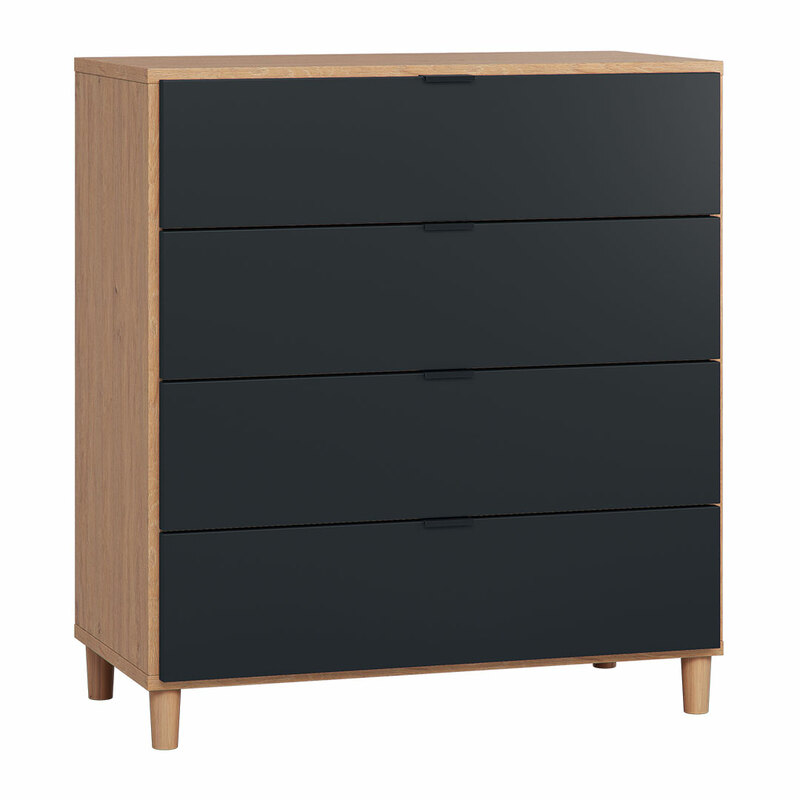 The four spacious drawers have neat black handles in the middle. The height of 99.5cm makes it an ideal modern dresser to neatly store clothes, toys or books. A unique feature of this dresser is the functional slat on top for which a set of accessories can be added. 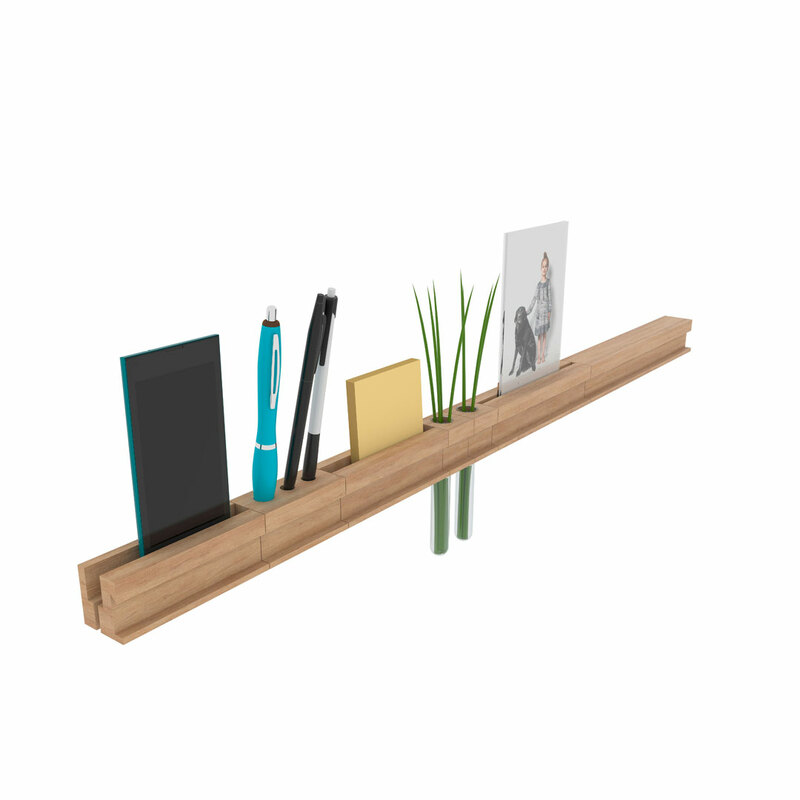 The slat and its accessories are designed especially for meeting modern needs, accommodating electronic devices, stationery and photos in a space-saving manner. The cherry on top with this dresser is the super convenient LED motion sensor light in the top drawer, which only illuminates when the drawers are opened. Furniture from the Simple collection by Vox is made of laminated chipboard with a thickness 16/22mm. The chipboard is characterised by very low formaldehyde emission and falls into the E1 hygiene class. The rear walls of the furniture are made of 2,5 mm-thick HDF board. White and black fronts and casings are made of painted board with a soft touch finish. All visible edges of the boards are covered with edge strips made of ABS plastic with a thickness 0,8/2mm. Painted elements are also finished with painted edges – the rim is unseen. The high-quality appearance of the furniture is increased by covering the edges on the back of furniture with 0,3 mm-thick paper strips.